Soroptimist International is delighted to introduce Catherine Dunmore, who has joined us as SI Advocacy Manager. Catherine is a qualified Solicitor of England & Wales, and received her Bachelor of Laws from the University of Essex (UK), and Master of Laws with Collaborative Program in Women and Gender Studies from the University of Toronto (Canada). Catherine has previously worked with organisations such as Oxfam GB (UK), the International Criminal Court (the Netherlands) and Human Rights Watch (Canada) and joins us from her recent post with the United Nations in the Democratic Republic of the Congo, where she worked to strengthen the domestic prosecution of priority cases of conflict-related sexual violence. Catherine’s legal background and work in the field of human rights will bring strength and critical knowledge to SI’s advocacy work. 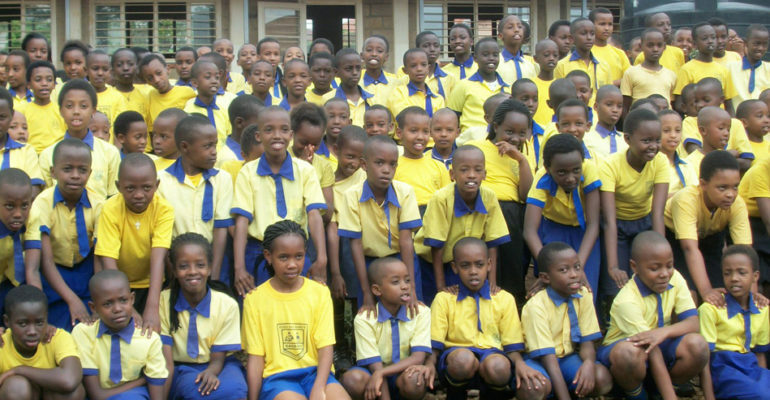 Catherine’s blog follows her recent visit to Kigali, Rwanda, where she met Soroptimists and saw projects in action. “Before commencing my role as Advocacy Manager with Soroptimist International in Cambridge, I had the opportunity in October 2018 to meet members of the Soroptimist International Club of Kigali, Rwanda. I was warmly welcomed by Grace Kayirangwa, Vice-President of SI Kigali, who showed me some of their projects, as well as telling me more about SI’s work throughout the land of a thousand hills. 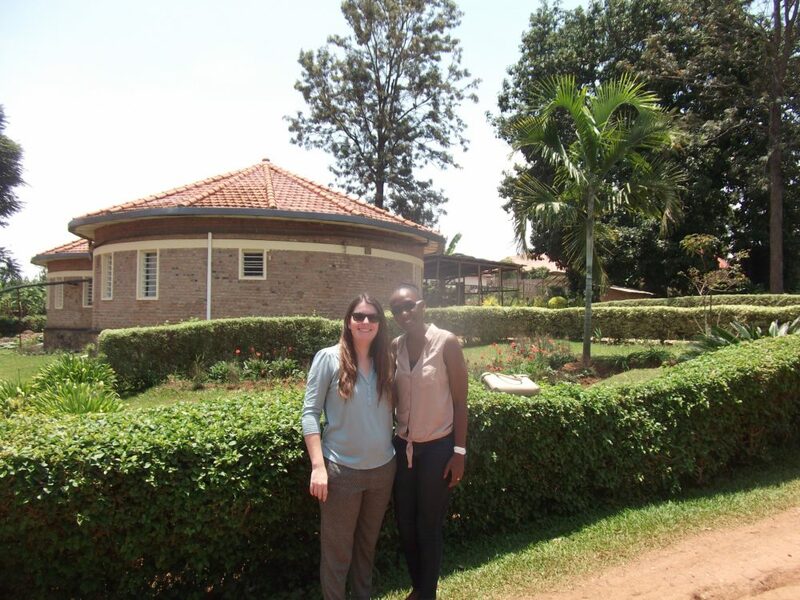 In the suburbs of Kigali, Grace took me to l’Ecole San Marco which was founded through the efforts and financing of Soroptimists in Rwanda and Luxembourg in 2004. Since then, the school has grown to house thirteen classrooms, thanks to generous international Soroptimist support. Today, l’Ecole San Marco educates over 450 girls and boys between ages three and sixteen. 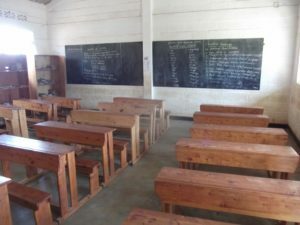 Nineteen teachers lead classes in the core subjects in both English and Kinyarwanda, as well as providing vocational training such as sewing and computer classes. 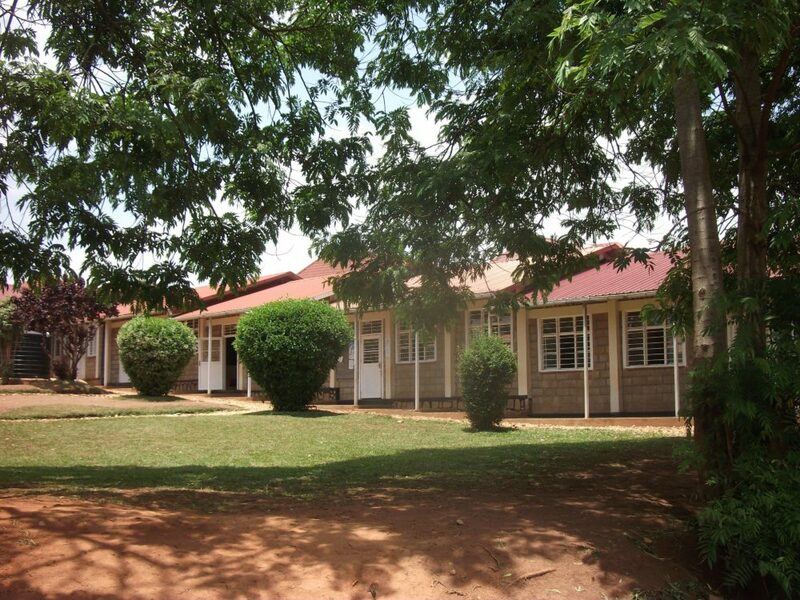 The Ecole San Marco site also accommodates several dormitories, a large play area and a meeting hall used for the regular gatherings of SI Kigali members. Grace introduced me to Jean Paul, steward of the school, who took me on a tour of the grounds. A particular highlight were the impressive gardens and greenhouses, where fruit and vegetables are grown for use in the school’s kitchens. The San Marco site also houses a successful women’s cooperative, offering young women various classes in crafts including high quality jewellery making – merging traditional Rwandan techniques with state-of-the-art design. 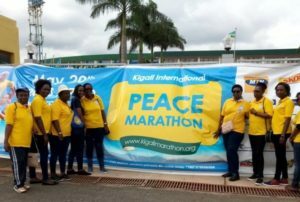 One of the best-known other projects supported by Soroptimists in Rwanda is the Kigali International Peace Marathon. Its 14th edition, included full and half marathons and a 10km run for peace, which I was lucky enough to witness in the capital in May 2018. Outside of Kigali, in Rwamagana District, the Soroptimist Club has recently provided professional training to sixteen young single-mothers. At the end of their course, these sixteen women received certificates attesting to their new skills, alongside sewing machines and hairdressing equipment. Meanwhile, earlier in 2018, the Soroptimist Club in Muhanga helped vulnerable women by providing them with equipment for the construction of latrines. The visit to Kigali was a great opportunity to learn how SI’s projects help women and children in Rwanda further their education, improve their employability and gain financial independence. It was also a wonderful personal introduction to some of our global Soroptimist network, and I look forward to meeting and collaborating with more Soroptimists in my role as Advocacy Manager”. La Scuola San Marco è nata anche grazie agli sforzi ed al lavoro del Club Soroptimist della Repubblica di San Marino. Il Progetto “Atelier Rwanda ” è partito grazie al Club di San Marino. Grazie al Soroptimist club di San Marino e all’Universita’ di Design sammarinese è nata la cooperativa AGAKAPO presso il Centro San Marco.a Kigali. Un progetto portato avanti con amore e tanto lavoro. Si ringraziano i Prof.ri Gaddo Morpurgo e Massimo Brignoni. 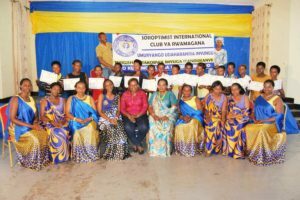 Grazie al Soroptimist club di San Marino e all’Universita di designe sammarinese è nata la Cooperativa AGATAKO che si trova presso il Centro San Marco a Kigali. Un ringraziamento particolare ai Prof. Gaddo Morpurgo e Massimo Brignoni.